Suntec REIT’s 4Q/FY18 DPU of 2.59/10.005 Scts is within our expectations, at 26%/100% of our full-year forecast. Mixed office performance while retail continues to improve. Maintain ADD with an unchanged Target Price of S$2.06. 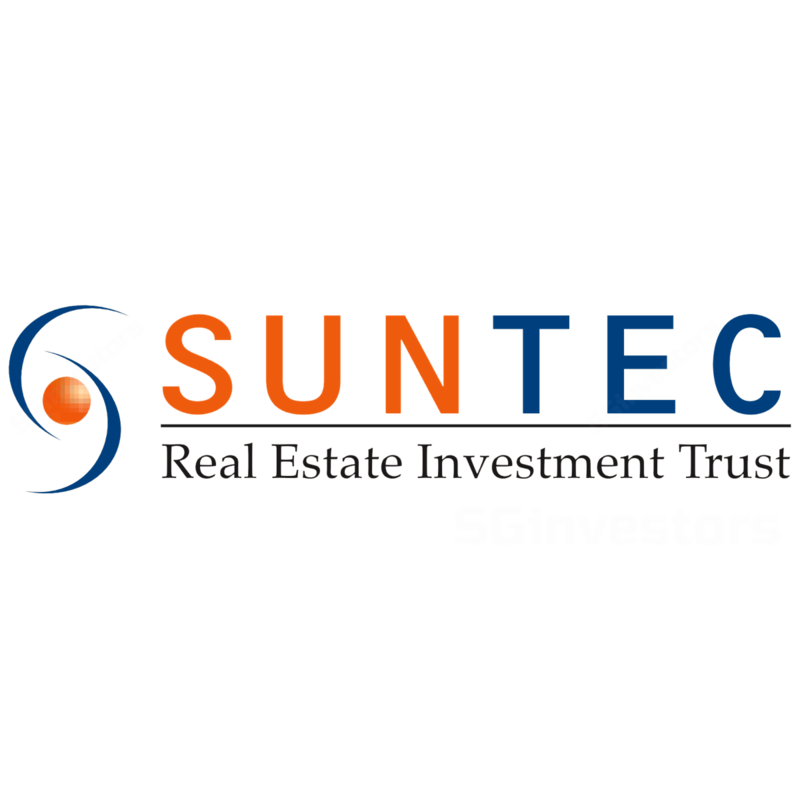 SUNTEC REAL ESTATE INV TRUST (SGX:T82U, Suntec REIT)’s 4Q18 DPU of 2.59 Scts was in line. While 4Q revenue/NPI grew 7%/2.3% y-o-y, led by higher contribution from Suntec Singapore, 177 Pacific Highway and Suntec Mall, higher interest expenses eroded distribution income. With a higher capital top-up of S$12.5m, 4Q18 DPU slipped a marginal 0.5% y-o-y. Similarly, for FY18, DPU dipped a slight 0.2% y-o-y to 9.988 Scts, after accounting for a larger S$39m capital distribution. Suntec REIT also revalued its portfolio value up by 3.2%, translating to a BV of S$2.103/unit. Suntec REIT’s FY18 office revenue fell y-o-y due to lower portfolio occupancy of 98.7% at end-18, -0.5% pt y-o-y as take-up at Suntec office and ORQ fell to 98.6% and 96.1%. Nonetheless, Suntec office enjoyed a positive rental reversion of 3% in FY18 and achieved an average of S$9.14psf/mth for 4Q18, +13.8% y-o-y with demand coming from banking, financial services and TMT sectors. Meanwhile, the Australian portfolio enjoyed higher contributions thanks to additional income from a higher 50% stake in Southgate Complex. Looking ahead, Suntec REIT has a remaining 8.2% and 17.6% of NLA to be renewed in FY19 and FY20. This will enable the trust to continue to benefit from the office upcycle. Furthermore, completion of the 9 Penang Rd redevelopment and 477 Collins St project by end-2019 and mid-2020 should also increase Suntec REIT’s exposure to the office sector. Suntec REIT renewed/leased a total of 372k sq ft of retail space in FY18 and achieved portfolio occupancy of 99.1% at end-18. Shopper footfall rose 4.8% y-o-y while tenant sales registered a 5.2% improvement y-o-y. Going forward, with its repositioning largely completed, Suntec REIT will continue to engage shoppers via its rewards programme as well as offering value added services. Suntec REIT’s gearing stood at 38.1% at end-FY18 with an average debt maturity of 3.2 years. In addition, 75% of its debt is on fixed rates. In addition to capital management, Suntec REIT plans to explore acquisition opportunities, particularly within its current geographic footprint. Furthermore, management also signaled its medium-term intention to manage down the proportion of capital distribution, currently making up c.15% of its FY18 DPU. We would view this positively when it materialises. We tweak our FY19-20 DPU estimates by 0.8-0.6% post results and maintain our ADD rating and DDM-based Target Price of S$2.06. We anticipate with improved retail offerings at Suntec Mall, office revenue is likely to improve with the rental upcycle. Re-rating catalysts include faster-than-expected office and retail rental hikes; downside risks include slower economic growth which could impact the demand for office space.